All our professionals at All Smiles Dental Care maintain the highest levels of accreditation and pursue ongoing education to stay abreast of the latest trends in dentistry. Olan D. Parr, Jr., D.D.S. Dr. Parr received his B.S. in Biology and M.S. in Human Nutrition at Virginia Polytechnic Institute and State University. 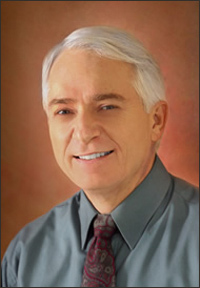 He graduated from the Medical College of Virginia School of Dentistry in 1980. He completed both a one-year general practice residency and a two year general dentistry residency while on active duty in the army. He was the first army dentist to become a diplomate in the American Board of Operative Dentistry, a board of excellence. He is also a diplomate of the Federal Services Reserve Board of General Dentistry and a diplomate of the American Board of General Dentistry. His extensive pursuit of continuing education in dentistry earned him Mastership in the Academy of General Dentistry. Transferring from active duty to the reserves, Lieutenant Colonel Parr began the private practice of general dentistry in Culpeper, Virginia, in 1990. He performs cosmetic and restorative dentistry, endodontics, periodontics, prosthodontics, oral surgery, implants, and pedodontics. He is listed in The Best Dentists in America (a book based on evaluations by other dentists) and in Global Register’s Who’s Who in Executives and Professionals. He loves both the art and the science of dentistry, and is committed to a conservative outlook and excellence in every aspect of his practice.